With the Retina API anything that can be expressed with text can be compared semantically: - Match user interests with documents, - Match products with LinkedIn profiles, - Match Tweets with Facebook timelines, - Match job descriptions with resumes. The cortical.io technology provides easy-to-use, powerful natural language processing tools for text filtering, classification, clustering, searching and much more. 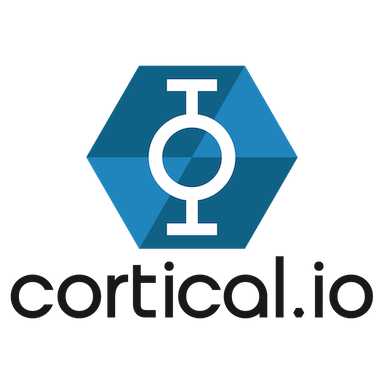 Its central component, the cortical.io Retina, can be accessed via a simple to understand REST API and works with any kind of text of any length (e.g. messages, user profiles, documents, webpages etc.). By converting text from contracts, blogs, social media posts, product descriptions or any other source into a numerical representation of its meaning (a Semantic Fingerprint), the Retina API enables semantic comparisons to be performed simply and efficiently. No expert knowledge is required. No complex rule systems need be built. Just input your text and get immediate results: no tweaking or tuning needed. Tasks such as classification and streaming text filtering are much easier to perform and become really fast - enabling real-time NLP. We currently provide a general English Retina and will soon publish Retinas for other languages (e.g. Spanish, Chinese, Russian) as well as for more business-specific domains (e.g. medical, legal). Talk to us if you want to actively capture the domain knowledge of your organization by generating your own specific Retina. Simple, intuitive and easy to use, no expert knowledge needed. Highly computationally efficient: enables real-time NLP. Works for any domain in any language.